OWoN: Why the surprise, it is always about money, and power. Saudi Arabia and Russia have had numerous discussions over the past several months that have yet to produce a significant breakthrough, according to American and Saudi officials. It is unclear how explicitly Saudi officials have linked oil to the issue of Syria during the talks, but Saudi officials say — and they have told the United States — that they think they have some leverage over Mr. Putin because of their ability to reduce the supply of oil and possibly drive up prices." He looks like he is made of plaster. Think there has been a face lift. Saudi Arabia is under a new cloud after a jailed al-Qaeda operative implicated senior Saudi officials as collaborators with the terror group – and the shadow could even darken the political future of Israeli Prime Netanyahu because of his odd-couple alliance with Riyadh, reports Robert Parry. 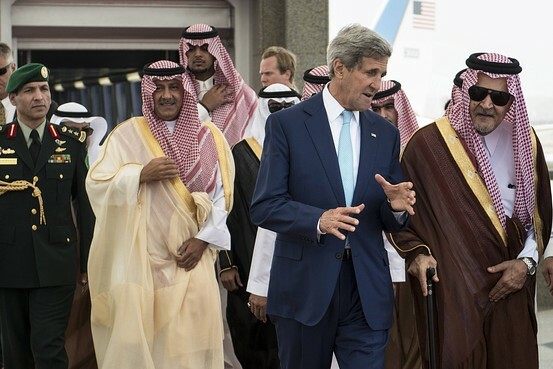 We’ve long noted that Saudi Arabia is a huge supporter of terrorism . But the new Saudi king is particularly bad. King Salman has a history of funding al-Qaida, and his son has been accused of knowing in advance about the 9/11 attacks. Salman once ran a Saudi charity tied to al-Qaida and has been named a defendant in two lawsuits accusing the Saudi royal family of helping the 9/11 terrorists, one of which the U.S. Supreme Court recently let move forward after years of being blocked by the State Department and the well-funded Saudi lobby. • Salman once headed the Saudi High Commission for Relief to Bosnia and Herzegovina, which served as a key charitable front for al-Qaida in the Balkans. • According to a United Nations-sponsored investigation, Salman in the 1990s transferred more than $120 million from commission accounts under his control — as well as his own personal accounts — to the Third World Relief Agency, another al-Qaida front and the main pipeline for illegal weapons shipments to al-Qaida fighters in the Balkans. • A U.N. audit found that the money was transferred following meetings with Salman, transfers that had no legitimate “humanitarian” purpose. • Former CIA officer Robert Baer has reported that an international raid of Saudi High Commission offices found evidence of terrorist plots against America. • Baer also revealed that Salman “personally approved” distribution of funds from the International Islamic Relief Organization, which also has provided material support to al-Qaida. • A recent Gulf Institute report says Salman and former Saudi intelligence chief Prince Turki al-Faisal knowingly aided and abetted al-Qaida in the run-up to 9/11. • Salman works closely with Saudi clerics Saleh al-Moghamsy, a radical anti-Semite, and Safar Hawali, a one-time mentor of Osama bin Laden, according to the Washington Free Beacon. • In “Why America Slept,” author Gerald Posner claimed that Salman’s son Ahmed bin Salman also had ties to al-Qaida and even advance knowledge of the Sept. 11, 2001 attacks. As former CIA official Bruce Riedel astutely pointed out , Salman was the regime’s lead fundraiser for mujahideen, or Islamic holy warriors, in Afghanistan in the 1980s, as well as for Bosnian Muslims during the Balkan struggles of the 1990s. 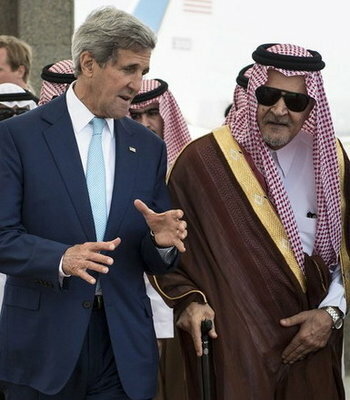 In essence, he served as Saudi Arabia’s financial point man for bolstering fundamentalist proxies in war zones abroad.